The great thing about a gap year in Israel is that it presents so many varied opportunities. Of course, there are the core elements of fun, exploring the country, living independently with friends, and generally trying new things. However, to make the year truly worthwhile it can be good to combine it with an element of studies. 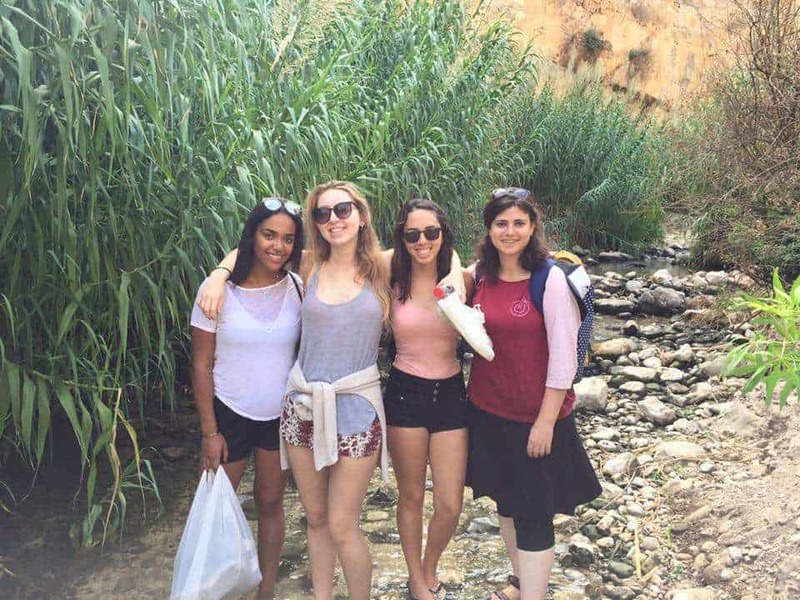 On Aardvark Israel our study abroad program consists of three afternoons a week. There is a huge variety of courses available and they generally focus around learning Hebrew, Jewish and Zionist topics and various other general studies. If you are looking to learn Hebrew and further your knowledge of Israel then the program is perfect. You will study at an Ulpan (Hebrew language school) and can combine this with courses such as the History of Zionism and Israeli Society or The Arab Israeli Conflict. These study courses allow you to gain a huge amount of enriching knowledge but still leave you plenty of time to have fun. While we encourage everyone to use their time in Israel to learn as much about the country, culture and religion as possible, there are also many courses that focus on more general areas that will be of more general interest. For instance, you could do a course in Social Psychology or an Introduction to Business or even a course on The Art of Reading and Writing. These study options will help prepare you for life ahead and should provide plenty of intellectual stimulation. Other study abroad courses include The Power of Persuasion, Jewish Business Ethics, Jewish Medical Ethics, Holocaust in Israeli Literature, Developmental Psychology, Introduction to Service Learning and much more. Regardless of which area of study you choose, what makes it truly unique is that you are studying abroad in Israel. This means that the teachers are likely to come from a different background and offer a different perspective to that which you are used to. For instance, taking a course on Contemporary Politics while in Israel is sure to result in different areas of discussion than the same course would in any other country. Similarly, doing a course of Social Psychology will allow you to explore the area in relation to Israeli society, how the conflict has affected the national psyche and so on. To top it all off, thanks to Aardvark Israel’s partnership with the American Jewish University in Los Angeles, gap year participants can earn up to 15 credits per semester (a total of 30 for the year). If you complete the course you can transfer the credits to your desired university. The Western Association of Schools and Colleges, the same institution that accredits all recognised universities and colleges in the Western United States accredit the transcripts. As a result you’ll be heading back home with a head start on your degree. In short, while a gap year should always be fun, the incorporation of studying abroad provides a well-rounded and stimulating experience that is sure to be beneficial in years to come.